Each of the books, except 5, are divided into chapters and verses. The 5 which aren’t divided by chapters are Obadiah, Philemon, 2 John, 3 John, and Jude. These are short books which only have verse divisions. Chapters were introduced to the Bible in 1238 by Cardinal Hugo de S. Caro. Verse divisions were not added until 1551 by Robertus Stephanus. Moses wrote the first five books of the Bible, referred to as the Pentateuch; the foundation of the Bible. The longest chapter if the Bible is Psalm 119 with 176 verses. The shortest chapter is Psalm 117 with only 2 verses. Incidentally, the middle chapter of the Bible is Psalm 118. also Psalm 117. The longest book of the Bible is Psalms with 150 chapters, or psalms. It contains 43,743 words. The shortest book is 3 John with only 1 chapter and 299 words. 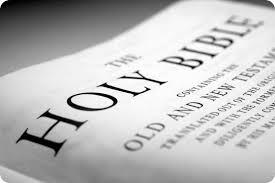 The Holy Bible was written over a period of some 1,500 years, from around 1450 B.C. (the time of Moses) to about 100 A.D. (following the death and resurrection of Jesus Christ). There are more than 168,000 Bibles either sold or given away per day in the United States according to the Gideons, Wycliffe International and the International Bible Societies. The Old Testament is almost identical to the Jewish Tanakh. The Old Testament has 39 books (not counting the Apocrypha). The names of Old Testament books in Hebrew are based on the first prominent word or phrase in that book. The names of Old Testament books in Greek (and English) are based on the general topic of the book. The books of the Old Testament are: Genesis, Exodus, Leviticus, Numbers, Deuteronomy, Joshua, Judges, Ruth, 1 & 2 Samuel, 1 & 2 Kings, 1 & 2 Chronicles, Ezra, Nehemiah, Esther, Job, Psalms, Proverbs, Ecclesiastes, Song of Songs, Isaiah, Jeremiah, Lamentations, Ezekiel, Daniel, Hosea, Joel, Amos, Obadiah, Jonah, Micah, Nahum, Habakkuk, Zephaniah, Haggai, Zechariah, and Malachi. The first five books of the Old Testament (Genesis, Exodus, Leviticus, Numbers and Deuteronomy) are known as the Five Books of Moses, the Pentateuch, or the Torah. They are traditionally held to have been written by Moses, but modern scholars have proposed that there were four or five authors. The book of Esther is the only book of the Bible that never mentions God. The writers of the New Testament used a Greek translation of the OT known as the Septuagint. The New Testament is about the same size as the Qur'an. The books of the New Testament are: Matthew, Mark, Luke, John, Acts, Romans, 1 & 2 Corinthians, Galatians, Ephesians, Philippians, Colossians, 1 & 2 Thessalonians, 1 & 2 Timothy, Titus, Philemon, Hebrews, James, 1 & 2 Peter, 1, 2 & 3 John, Jude, Revelation.